One of complaints Best Buy had on their “Cease and Desist” letter to Newegg was about a logo Newegg is currently using on their Geek On advertising where apparently the wording and colors, being similar to Best Buy’s “Geek Squad” services, might confuse consumers and take away some of their fame. I don’t know about you but in looking at Newegg’s logo, I can’t see how anyone would get confused. 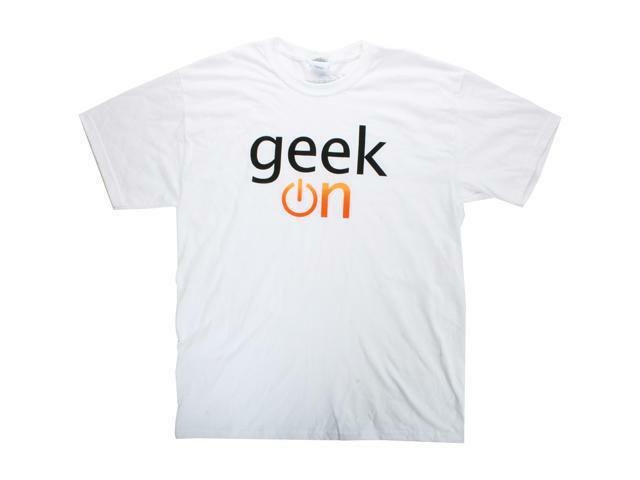 I use the word geek often, especially when describing myself and not once have I ever though of Geek Squad when doing so unless I was referring to them or Best Buy. How this can be considered a “Trade Mark” violation is beyond me. I don’t think the word “Geek”, the colors black and orange and the power button image are trade marked in any way that no one else can use them. I could be wrong but I seriously doubt it. Their claim? That the blue shirt and the store layout in the video were similar to those in Best Buy stores giving the consumer the impression that the “deer-in-the-headlight”, “I-have-no-idea” employee in the video was a Best Buy employee and therefore making it seem that the smart one is actually the consumer. To be perfectly honest I can not only help but agree but can also testify to this being true almost all the time. Odds are if I was to do an experiment or a survey asking people if when going to a Best Buy store and asked an employee for assistance with a product, how often was the employee actually knowledgeable and helpful and you actually got what you wanted and give them the following 3 options “every time, sometimes, hardly ever”, I would likely have waaaay more people say “hardly ever”, followed by “sometimes”. Let’s be realistic here folks, flipping burger and frying chicken nuggets at Burger King does not make you a chef, selling shoes at Footlocker does not make you a shoe expert and working at the computer or TV counter at Best Buy does not make you a geek or electronics expert. That’s why you don’t ask a Burger King employee about cooking tips, a Footlocker employee about shoe comfort and especially a Best Buy employee about which electronic device is best for your wants and needs. You best do you homework before you go to Best Buy or you may as well wear a sign around your neck that says “I’m with stupid” with an arrow pointing straight up. I love the fact that Newegg posted the letter on their facebook page. Did Best Buy really think this letter was gonna make Newegg get down on their knees and beg for forgiveness? Comedy at it’s best people. Best Buy has a point. I only thought of them when seeing the commercial. However, NewEgg has a more powerful weapon at its disposal - the TRUTH! I do not go to best Buy for advice (and advise my family and clients against doing the same). I buy from Best Buy often, spent money there today in fact, but many of their employees are much like the one in the video. I guess the truth hurts, eh? Let's face it, many of us ARE geeks. I am proud of the label. Many of those who work in the big box stores are just trying to make a living and aren't really geeks, I cut them some slack, but it would seem someone, my friends at Newegg, has touched a nerve. I will be sending them an email telling them to back off on this or I will find other places to spend my money (there are many). They have my email addy and know what I spend in their stores, maybe it means something, maybe not. Either way, if enough of us geeks pound them with emails maybe, just maybe, they will get real. But then again, their primary market are the morons who wouldn't know a USB port from a fortune cookie. LOL, I wear my Geekness with pride. Most people joke about my obsession with computers but when their precious, expensive hardware starts acting up on them, my Geekness is almost as desirable as the device they purchased. Considering their wages I don't expect them to be experts. But it would be nice if they at least knew a bit about the products they have in their area. it would seem logical that when hiring someone they might ask them what their knowledge of tech is a perhaps then put them in a position in the store where that knowledge is more useful. I mean, you can't really have a business where you provide certain products of different brands with different features and uses and not have someone there who at the least understands the basics. My only real concern is those employees who take advantage of a person ignorance to get them to buy stuff they may not need or are not what they are looking for. It's one thing to do your homework before going to a store like Best Buy, it's another to understand what you are doing the homework on. but many of their employees are much like the one in the video. I always tell friends who are not in my area to visit a mom and pop shop. They may not know it all, but they are probably geeks, and will at least have the answers (some are not too scrupulous, but hard to evaluate when you do not live there). I had a friend go to one, and they trashed something I had done. The friend called me, and was not at all happy. I then explained what was going on, and how to fix it. Needless to say, they do not go to that mom and pop shop any longer.